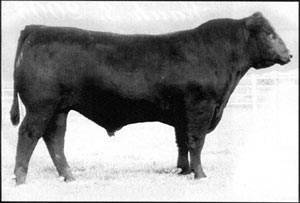 Danny Boy progeny were a hit in 2005 at several sales across the country, but were especially hot at the Vermilion Ranch sale in MT where 89 sons sold for an average of $4804. Danny boy progeny have good shape, muscle and eye-appeal. His daughters are big volume females.